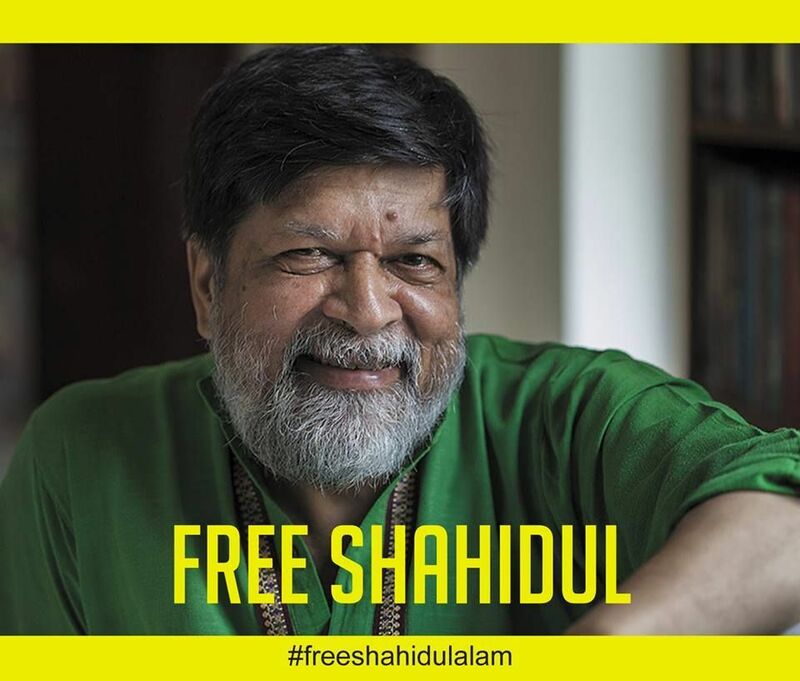 More than 50 leading UK cultural figures including Arts Council chair Nicholas Serota, Frances Morris of Tate Modern, and Antony Gormley have signed an open letter demanding the immediate release of photojournalist Shahidul Alam, who was imprisoned last month by Bangladeshi authorities. Alam criticised the government’s handling of road safety demonstrations which engulfed Dhaka last month. He has been charged by the Dhaka Metropolitan Police under section 57 of Bangladesh’s Information Communications Technology Act, which “authorises the prosecution of any person who publishes, in electronic form, material that… causes, or may cause, deterioration in law and order”. A bail hearing is scheduled for 3 September. “Freedom of speech, artistic expression and talking truth to power are vital barometers of civilisation. Whatever is done to one person against these central pillars of a fair and tolerant society, is done to all of us,” says Nicholas Cullinan, the director of London’s National Portrait Gallery. Gormley says that “Shahidul as artist and witness confronts power with truth to achieve positive change for his country. He has my total support.” Other signatories include Mark Wallinger, Steve McQueen and Sally Tallant, the director of the Liverpool Biennial. The letter also states that “the brutal incarceration of Dr Alam is rooted in broader political repression. In recent years, Bangladesh has seen hundreds of citizens, including writers, intellectuals, lawyers and activists imprisoned and murdered.” Citizens detained on similar grounds should also be set free, the signatories say. A protest is due to take place at the Bangladeshi High Commission in London on 7 September. The UK rallying call comes as concerns grow about Alam’s health (the photographer and activist is thought to have suffered from respiratory complications and problems with his eyesight).